CAMBRIDGE, Mass. (JTA) — During his freshman year at Harvard University, Max August thought twice about expressing his support for Israel among his classmates. He was uncomfortable with the vitriolic language and tactics of anti-Israel protests he encountered. “I was worried about putting myself out there and being the face of Israel on campus,” August, a New Yorker, told JTA. 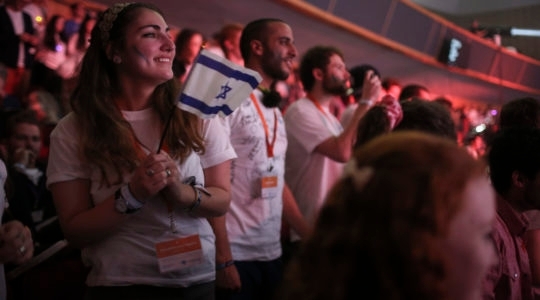 On Sunday, August, now a sophomore, was proud to be at the helm of the Israel Summit at Harvard, a daylong, student-organized conference that showcased the country’s achievements around the world. Billed as the first-ever Israel summit at Harvard, the event was held under tight security at the Charles Hotel in Harvard Square. 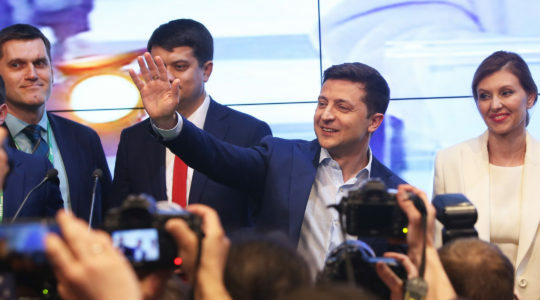 It attracted more than 400 mostly undergraduate and graduate students from Harvard, as well as other Ivy League institutions and colleges in Boston, New York and Washington, D.C. Thousands more watched the summit on live stream. 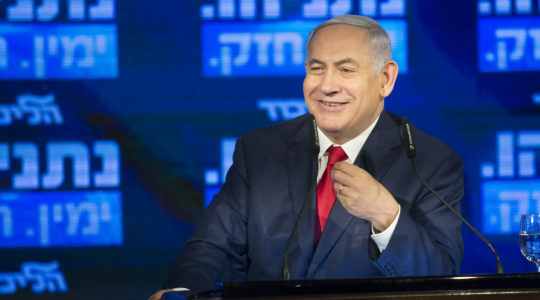 “The goal of the summit is to provide greater insight into the Israeli spirit,” August said in his opening remarks. 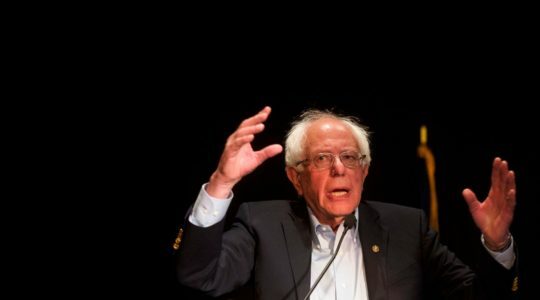 Citing headlines critical of Israel’s deadly clashes with Palestinian protesters in Gaza and recent protests against Israel in Boston by the Jewish group IfNotNow, August told the audience there is an “endless cycle of negativity” that overshadows Israel’s positive narrative. The summit boasted an eclectic cast of speakers, including Amar’e Stoudemire, the six-time NBA All-Star forward who played last year for the Hapoel Jerusalem team after retiring from the NBA; Israeli-born fashion mogul Elie Tahari; Harvard’s president emeritus and former secretary of the U.S. Treasury, Lawrence Summers; and Ron Prosor, a former Israeli ambassador to the United Nations. 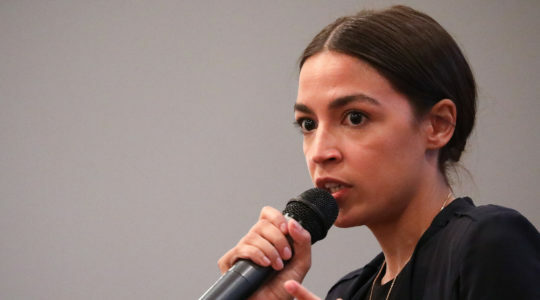 Less familiar speakers, including Chloe Valdary, a 24-year-old African-American who advocates for Israel, struck a chord with the largely young audience. Now a fellow at the pro-Israel nonprofit Jerusalem U, Valdary drew laughs when she described her unusual childhood growing up in a Christian family in New Orleans that followed the kosher dietary rules and observed Jewish holy days. Instead of responding to anti-Israel attacks, she said, Israel’s supporters should be asking, “How do people fall in love with the people and country of Israel?” It’s the basis of her new media work and a Jerusalem U film that will be released soon. Later Sunday evening, Tahari received the Leadership in Arts Award from Identities Fashion Show, a Harvard student-led event unrelated to the Israel Summit. Summers touched on the Israeli-Palestinian conflict. In an onstage interview with David Gergen, a presidential adviser under four administrations and a professor at the Harvard Kennedy School of Government, Summers said he “worries more than a little” that the Trump administration’s diplomacy in the Israeli-Palestinian conflict is “too strongly tilted towards Israel,” a strategy that may not be the best long-term approach, he cautioned. 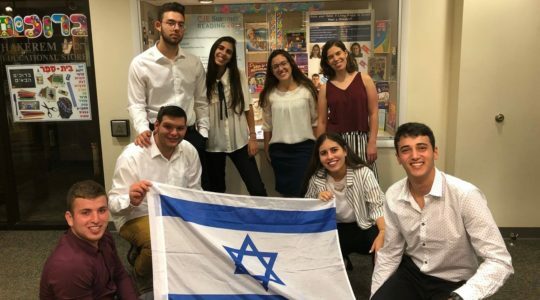 He sees hope in students sharing positive stories about Israel and encouraged students to speak out against anti-Israel activities. Personal narratives, like that of Stoudemire, most captivated the students. In an interview with Jon Frankel, an HBO sports correspondent, Stoudemire traced his affinity and passion for Israel to growing up in an African-American family who believe they are connected to the biblical Israelites. In February, Stoudemire, 35, launched a line of Israeli wines. 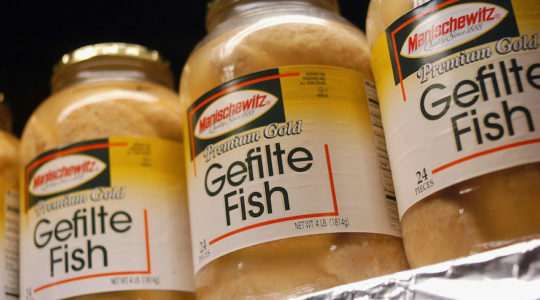 “I had to have a glass of wine after every bite of matzah,” during Passover, he joked with Frankel. Stoudemire recently launched Stat Academy, a distance learning program offering a course on the Lost Tribes of Israel. Playing ball in Israel took some adjustment, Stoudemire acknowledged. “The balls are lighter, a little smaller. But the level of skill was pretty impressive,” he said. His first trip to Israel, six years before, was for study. Stoudemire said he has applied for Israeli citizenship and is in the process of converting to Judaism. While he didn’t return to Hapoel for a second season, he again has a part ownership of the team. Stoudemire’s talk was “the cherry on top of a great day,” said Daniel Egel-Weiss, a student at Harvard Law School. 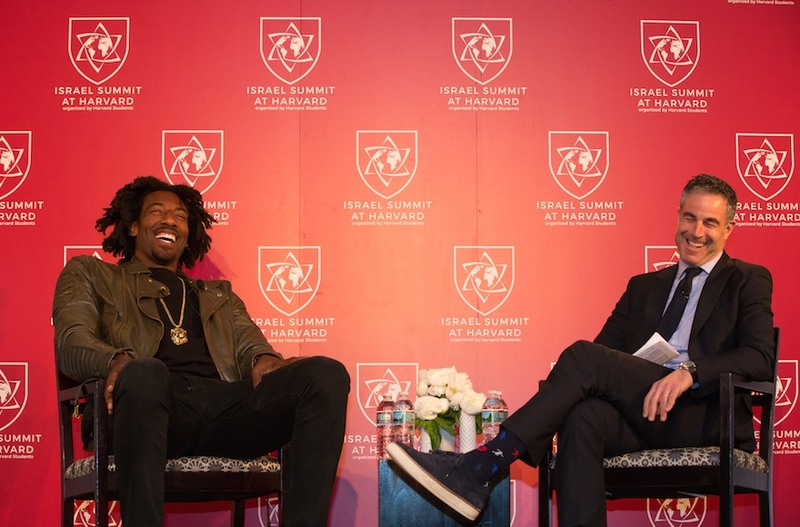 Hearing Stoudemire speak about his Jewish cultural awakening was fascinating, he said, but the whole day was interesting. “It’s great to have an ambassador [for Israel] in social circles,” Egel-Weiss said. Other summit speakers included Mohammad Darawshe, an expert in Jewish-Arab relations and director of planning at the Givat Haviva Educational Center, who spoke about the need to improve opportunities for Arab youth in Israel who often lack the Hebrew language skills to gain meaningful employment. 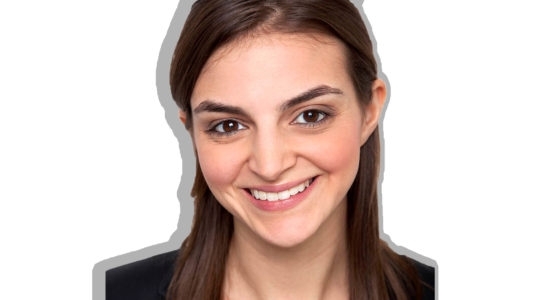 Narkis Alon, featured in Forbes’ 30 Under 30 list as a promising Israeli entrepreneur, most recently co-founded Double You, a platform to support women i the workplace that now reaches 14 countries. Her workshop attracted some two dozen women eager to hear her strategies on changing the culture for women, who continue to face discrimination in their careers. Sivan Ya’ari used her personal journey in founding Innovation: Africa to highlight the possibilities in bringing Israeli solar, agricultural and water technology to transform the lives of people lacking basic resources. 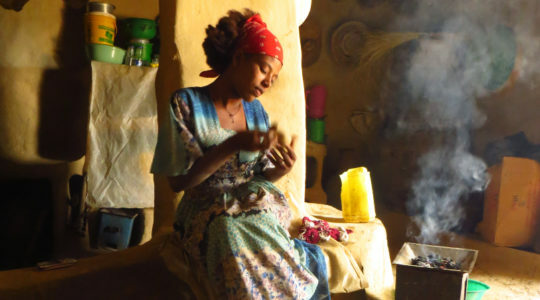 Born in Israel and raised in France, Ya’Yari ran a chain of nail salons in Israel while bringing Israeli know-how to rural Africa. Ya’ari’s story resonated with many students who lined up to speak with her after the conference. “For me, [Ya’ari’s] work was eye opening,” said Gaele Pierre-Louis, a student from Brooklyn studying at the Harvard Graduate School of Education. Pierre-Louis, whose parents are Haitian, was unaware of Israel’s role in developing technology for solar energy. She admired Ya’ari for sharing technology from more developed countries to improve the lives of the others. The summit was co-sponsored by 15 student organizations. In addition to Jewish groups, such as Harvard Hillel, August attributed the sold-out success to co-sponsoring with seven non-Jewish groups such as the Undergraduate Global Health Forum and the Leadership Institute at Harvard College.